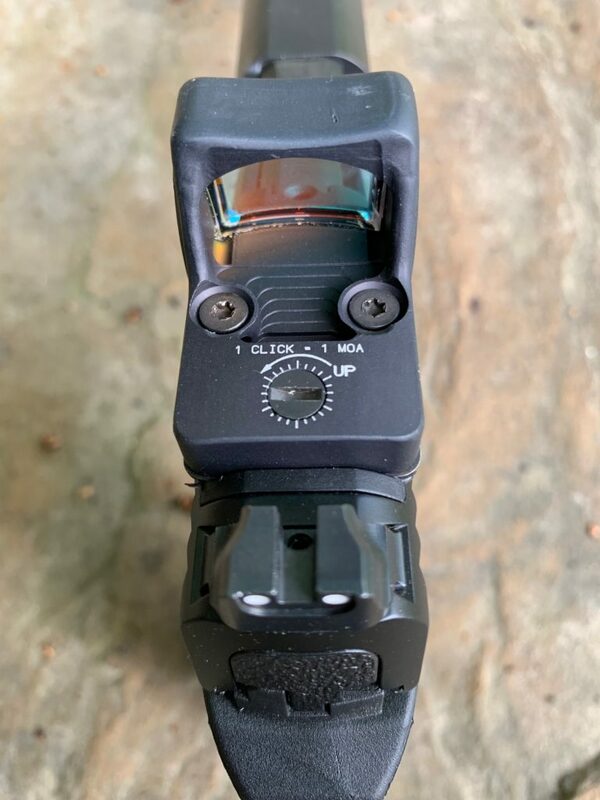 The Trijicon Ruggedized Miniature Reflex (RMR) Optics are Best In Class. They offer an amazing variety of illumination and dot options to fit any requirement. 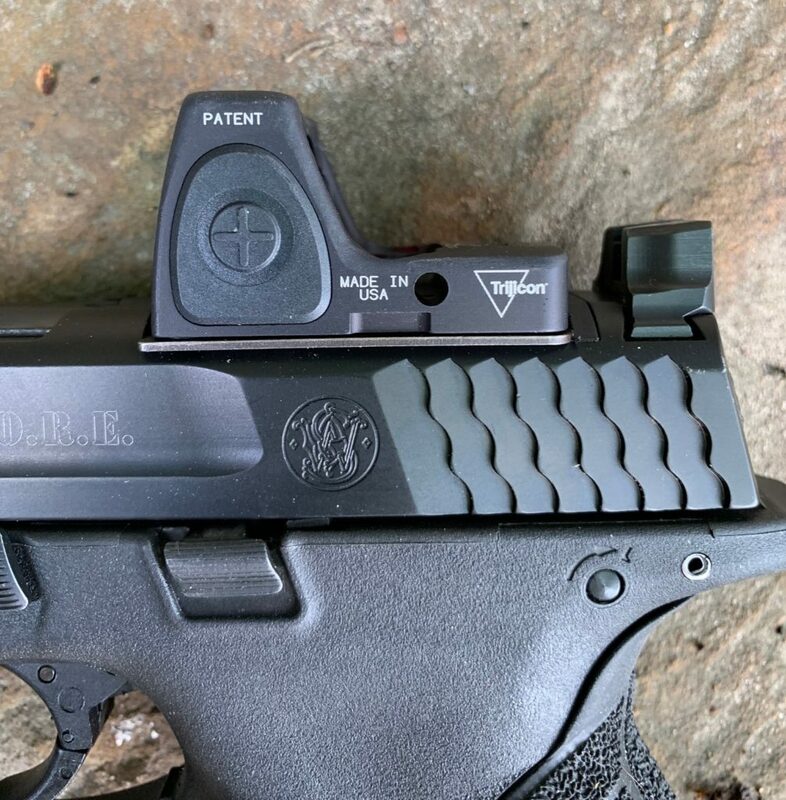 I was looking to add a Red Dot Optic (RDO) to my new M&P Pro Series C.O.R.E. and quickly settled on the Trijicon RMR RM07 Type 2 Adjustable LED with the 6.5 MOA dot. Trijicon manufacturers three series of the RMR. Adjustable LED, LED, and Dual-Illuminated (tritium and fiber). Quite frankly, there are so many choices available that it gets a bit overwhelming deciding upon all of the options. I first narrowed my choice down to the Adjustable LED. From there, I settled on the 6.5 MOA dot. It is also available in a 1.5 MOA dot for precision work and a 3.25 MOA dot. It is not an easy decision and I almost went with the Dual-Illuminate model. Ultimately, I am happy with my RM07 6.5. I have shot a number of pistols with various red dots but had never put in much quality range time with one. My previous experiences had not been all that great. The dot jumped around and I found myself fighting the pistol, trying to chase the dot around the target. Sure enough, my first several magazines were all over the place. Slowly though, I began to control recoil better, started focusing on the target rather than the dot, and magically the dot started self-centering into the correct sight-picture. 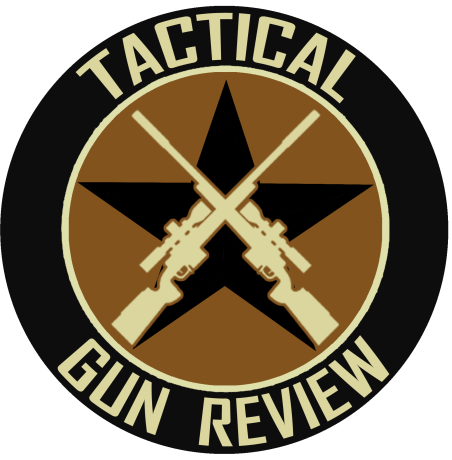 For me, it seems like best practice is to focus on the target and then bring the muzzle down until the dot appeared superimposed over the target. I still need to place more rounds downrange to truly be comfortable with it but it is coming around. The Adjustable LED features a button on each side of the housing to turn the brightness up or down. It is night vision compatible. After 16 hours of inactivity, the unit will drop down into standby mode. The RMR dot brightness can certainly be cranked up and I had no trouble acquiring the sight picture in the bright Texas sunshine. Elevation and windage are easily adjusted. You can see the dials clearly in the photos. The M&P Pro Series C.O.R.E. with a threaded barrel, silencer ready, and higher mounts that closely co-witness the RMR. Presbyopia. If you have it, you know. It becomes increasingly difficult to accurately shoot a pistol with iron sights. A RDO fixes most of that. It is a game changer. As you would expect from Trijicon, it is built tough. The housing is forged aluminum. Battery is a standard CR2032 with four years battery life (hint, buy your CR2032 and CR123 batteries in bulk from Amazon). Amazingly, the RMR RM07 weighs a scant 1.2 ounces with the battery! 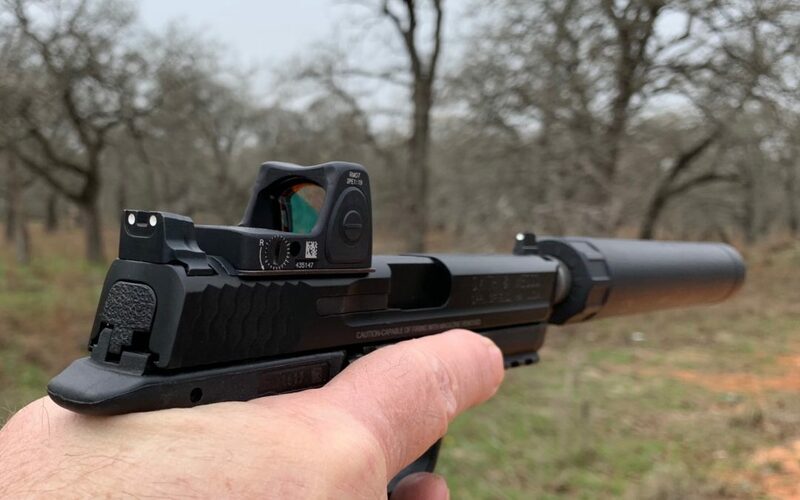 Trijicon also offers an incredible number of mounts for the RMR. 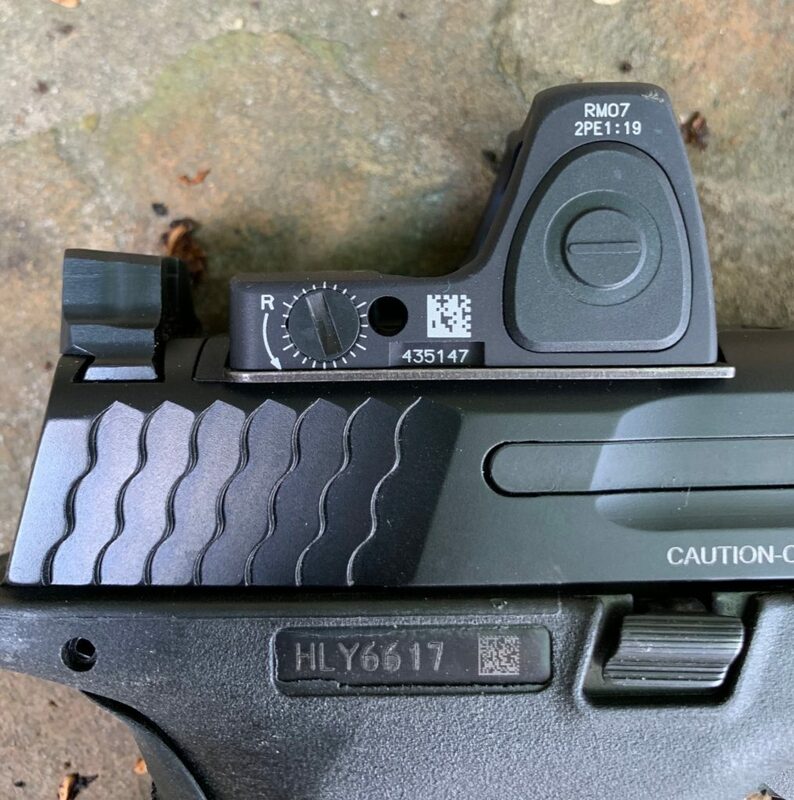 More and more pistols are being manufactured with a cutout in the slide to mount a red dot and we can expect this trend to continue. MSRP $699. Check street price on Amazon.